Watercress is at the top of the CDC’s ranking of PFV’s “Powerhouse Fruits and Vegetables” with the most nutrients based on a scale of what they call Nutrient Density Scores, or how much vitamins and minerals are packed into them. 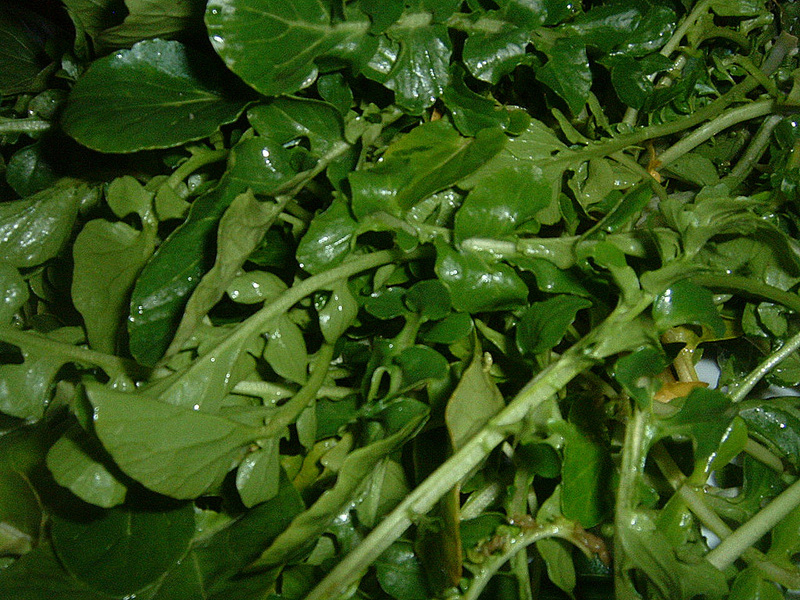 Compared to watercress, ranked at 100%, kale earns a measly 49% score. Broccoli just rates a 34%, cabbage a 25%. Sweet potato comes in second to the bottom with a 10% and the lowest ranking is the white grapefruit at the bottom. Super-fruits like raspberries and blueberries aren’t on the list at all. That is apparently because the CDC only looked at fruits and vegetables with dense quantities of vitamins and minerals. Berries don’t qualify and are so low in nutrient densities they were ignored in the rankings. That’s not to say they are worthless. What they DO have is phytochemicals, compounds that are believed to prevent cancer and other diseases but that have yet to be definitively classified by the CDC. The agency has plans to test fruits and vegetables for phytochemicals soon, so I will keep an eye out for that. Today I found watercress in the local Safeway after having struck out with several other supermarkets. At the checkout the clerk asked me what was this green stuff in a bag, so he could ring it up. He hadn’t seen it before — that’s how popular it is NOT. My plan for this blog entry was to taste it and come up with a theory on why it’s not as popular as it should be. Maybe the Watercress Council needs some heads to roll. Maybe it tastes horrible. There must be some reason why the world’s best vegetable isn’t in every smoothie, salad, stirfry, and hotsy totsy restaurant on earth by now. 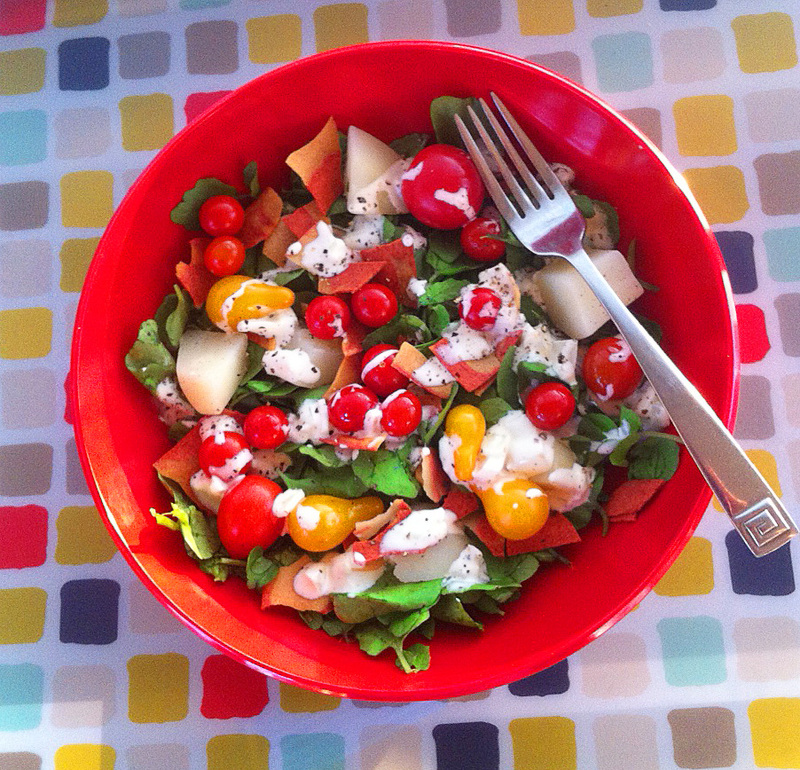 So I made my favorite salad — a BLT/Caesar/Potato Salad hybrid to test drive the watercress. Guess what. It was great. I have no theory as to why it’s not popular. Watercress should be the new IT GIRL, the NEXT BIG THING like kale was in the 90s. Seriously. Where is everybody? 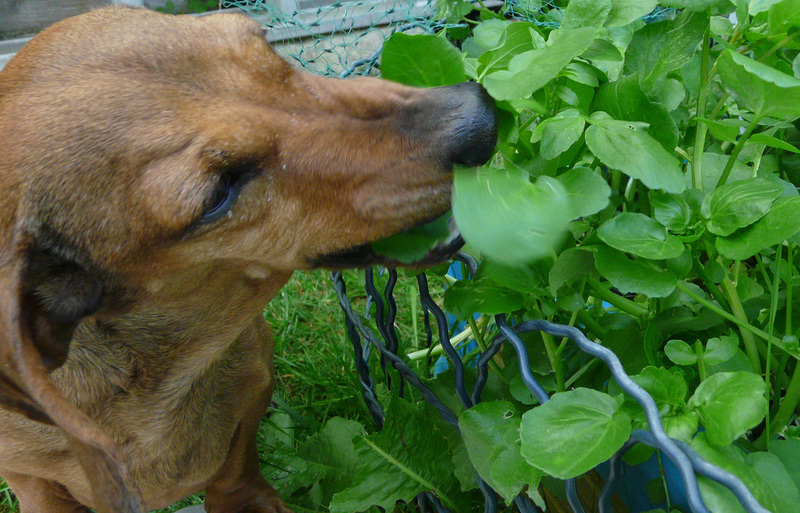 The taste: Watercress has a green, crunchy taste with a peppery afterglow, like spicy sprouts and radishes but with less of a bite, unlike anything else I can describe. I removed all the stems and only ate the leaves, which was probably unnecessary but eliminated any chewy parts. I gave it a creamy dressing, diced potatoes, fake bacon, tomatoes, minced onions and cracked pepper. Put all the salad ingredients together in a large bowl or decoratively layer them in individual bowls. Whisk the dressing ingredients together, adjusting amounts approximately proportionally so that it’s not thick like bottled dressing but not too runny. Drizzle on top of the salad and lightly toss. Add sea salt and lots of cracked pepper to taste. Serve.